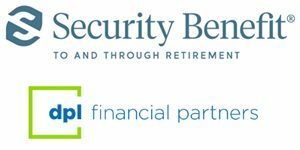 LOUISVILLE, Ky., Jan. 29, 2019 (GLOBE NEWSWIRE) — Today, DPL Financial Partners (“DPL”), the insurance network for registered investment advisors (“RIAs”), and Security Benefit Life Insurance Company (“Security Benefit”) launched a new fixed index annuity built in response to feedback from DPL’s RIA members. The commission-free1 fixed index annuity – ClearLine – has a simplified product structure and provides a rising income feature that increases income payouts each year. The optional Rising Income Rider pays rising income for life and has an elective withdrawal feature for non-qualified contracts that may reduce the tax burden for some retirees by spreading the taxable gain portion of the income payments over a longer time period. For more information, please contact DPL at the number below. 1 DPL is paid an administration fee by the carrier for creating the infrastructure through which it makes policies available on behalf of the carrier for its RIA members. This infrastructure includes product education, licensing capabilities and the broker/dealer (for variable products). Guarantees provided by annuities are subject to the financial strength of the issuing insurance company. Annuities are not FDIC or NCUA/NCUSIF insured; are not obligations or deposits of and are not guaranteed or underwritten by any bank, savings and loan or credit union or its affiliates; and are unrelated to and not a condition of the provision or term of any banking service or activity. The Security Benefit ClearLine Annuity, a fixed index single premium deferred annuity contract, In most states form ICC18 5500 (9-18), and the Rising Income Rider, In most states form ICC18 5520 (9-18), an optional rider for which a charge applies, are issued by Security Benefit Life Insurance Company. Product features, limitations and availability may vary by state. DPL Financial Partners and Security Benefit Life Insurance Company are not affiliated. « What Distinguishes The Best Advice?